Mr Sono accepted to answer our questions with a great pleasure on the next morning. INN : What is Nico Nico Dōga concept? 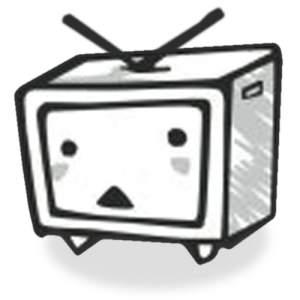 On Nico Nico Dōga, users can comment videos on live and those will show on screen. We can share a moment, an emotion, with others. That’s the difference with other video sharing website. When will the final English version will be online? Is a French version in preparation? For the time being, we do not know the exact time for the final English version to be online. Besides, we try to add services based on the Japanese version. Regarding the French one, we are working on it, but the final release is still unknown. Why did you come to JE last year? What was the result? Last year, we came for a coverage, to transmit the JE spirit to Japanese users. Shows on similar festival are popular in Japan. Once looking for Youtube videos about JE, we saw people singing « Nico Nico Kumikyoku » and we thought it would be great to participate to JE. It was really enthusiastic and we decided to come back this year. Numbers of regular show are on live broadcast . Is it your will or a request from outsiders ? Both. Contents are living on the artists who became famous through the website. They are as famous as artists outside Nico Nico Dōga. They plan concerts and broadcast them. Thanks to Nico Nico Dōga. Regarding the events of known groups as Morning Musume。 or AKB48, it comes from the labels. Why did you choose Momoi Halko to present the show ? When we announced our coming to JE, several artists knowing the convention asked to participate to the show as they came. It was spontaneous and natural. Interview made at Villepinte, on 2011/07/02. Thanks to M. Sono for his availability and kindness.